The rotisserie forks are for use with the Viking outdoor grill. Additional Information • Includes two stainless steel rotisserie forks for use with Gourmet Glo rotisserie units. 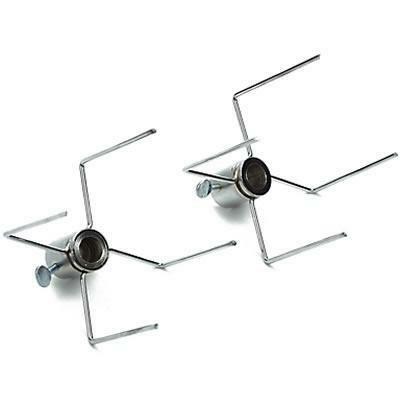 Includes two stainless steel rotisserie forks for use with Gourmet Glo rotisserie units. Grills come standard with two rotisserie forks. Compatibility • The rotisserie forks are for use with the Viking outdoor grill.